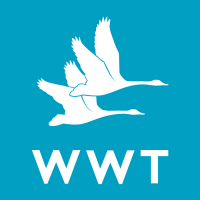 WWT builds support for wetlands and their wildlife by giving people amazing experiences. We do this through our visitor centre events and through the stories we tell on television and radio and in the press and online. This year we have an action packed events programme and we require help in our marketing and events department to ensure that we plan amazing days out for our visitors and have the right team of people to deliver them throughout the year. Ideally we’re looking for help for 15 hours per week, and these hours could be split over two days, or multiple days depending on what suited the needs of the business and our candidate. However, we are flexible and would consider role shares. There is also the possibility of additional hours if desired. Training, support and guidance will be provided for all these activities during your role. You will be volunteering side-by-side with an experienced member of staff. Supporting the work of the marketing and events team, in planning, developing and delivering events, with scope for some direct events experience. Supporting the work of the marketing team with social media, PR, online and events administration. Taking and logging queries from journalists and the public, and either drafting responses or arranging for them to be answered. Adapting pre-written copy for various communications (press releases, newsletters, intranet, website, and social media). Preparing photos and video for websites and media. An interest in public relations, events, media and communications. Due to the busy and unpredictable nature marketing and events, the role will better suit someone who is happy to be flexible as to what they are doing day to day, and even hour to hour. No previous experience of working in an events and marketing role is required. Training will be provided. However, it will help if you are confident at using standard office software such as Word, Excel and Outlook, and have a good grasp of English grammar, spelling and sentence construction, as well as a motivated and enthusiastic personality and a flare for creativity in regards to event planning. An interest in working with the public, in particular families, is essential. You will learn how to monitor and evaluate media profile, how to write and prepare imagery for different uses, and how to identify and develop a story for the media.